One day, earlier this year I received the above book in the post from the USA. In addition to collecting photobooth photos and ephemera, I also collect books about photobooth photos, of which there are a surprising number. 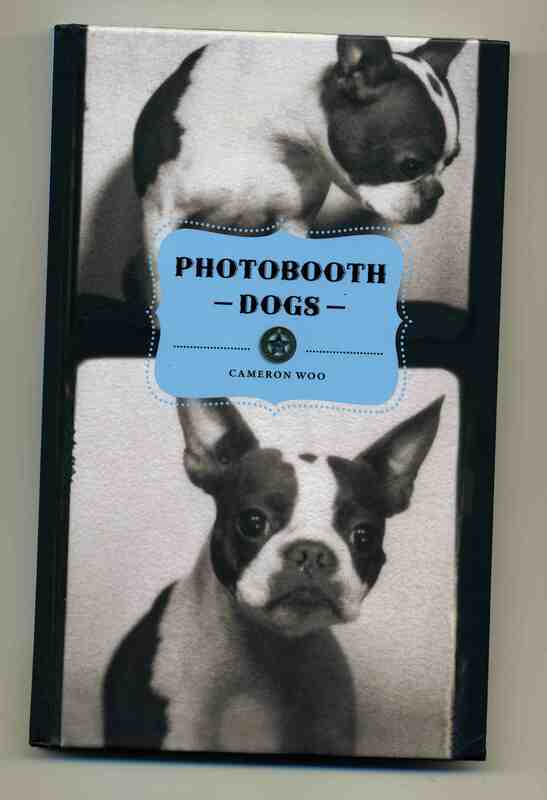 This one Photobooth Dogs by Cameron Woo was published in 2010. Over the previous year or two, I had noticed in my online shopping adventures, that vintage booth photos that included a dog, were going for higher and higher prices. I fully expected to see one or two pups that I recognised in this book. Having made myself a cup of tea, I settled down for a long peruse. There were some stunning snaps of dogs alone or with their owners, big and small, cooperative and not so cooperative but the photos that really grabbed my attention were of an unexpectedly familiar face. There was My Femme Fatale in all her glory with a companion I hadn’t seen before; a fuzz-faced poodle. It had been some time since I had looked at my French collection, so before mentioning my discovery to anyone, I sought them out to confirm that it was indeed my lady. And here she is forever immortalised in print – living on in the book, in my blog, in my collection and my imagination. Thanks to everyone who expressed an interest in this story and its outcome. Please leave your comments on the blog in preference to Facebook and email. Your feedback is important to me and I’d like to be able to share it. That is SO cool! Have you let the author know? I have thought about it, Greta, but not as yet. Yes, yes,yes! Still trying to figure out how I’d go about it. I must write to Mr Woo and see if he knows anything. OH!!!!! I am taking my pup to the nearest photobooth TONIGHT!! !, will supply own backdrop in place of the dirty curtains. The photobooth wasn’t working well but I still love the results. 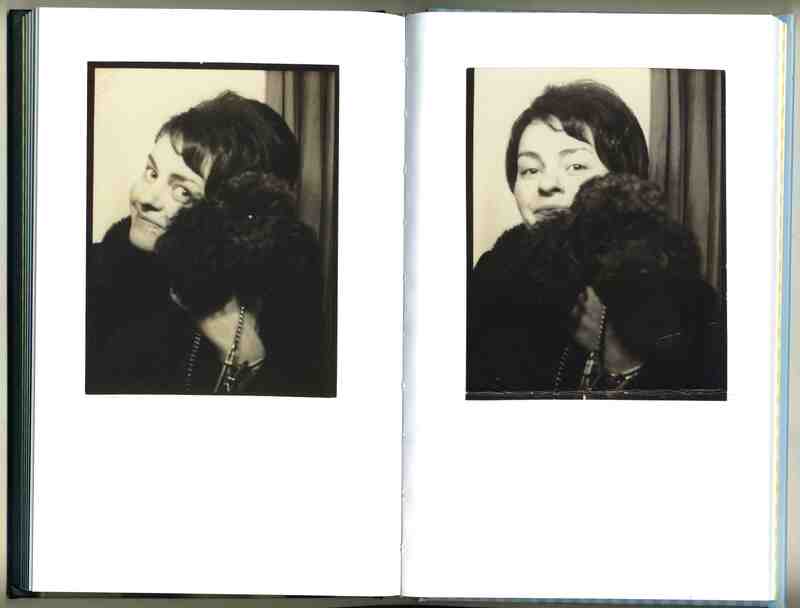 Photo Booth Dogs… Of course there would be a book on that! And, she has a French Poodle!!! God, what a story. So cool. Wow! What a stunning ending to your mysterious French lady!! She seems so fascinating. Thank you so much for sharing her life in photo booths!